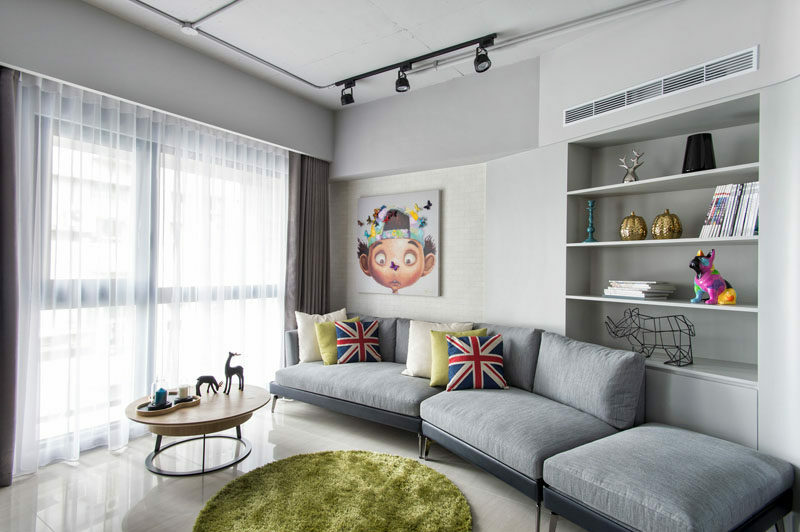 When interior design firm CHI-TORCH were designing this apartment in Taiwan, they decided to split the main living area into two distinct zones, a living room and an office. 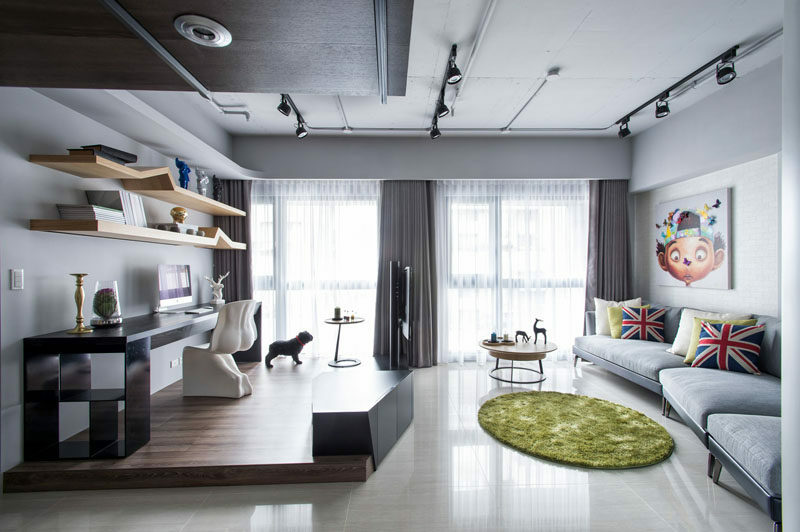 The designers split the space by creating a platform, with a television and entertainment unit built-into it, which also acts as a further division between the two areas. When sitting in the living room, your focus is drawn to the television, and not the work area behind it. 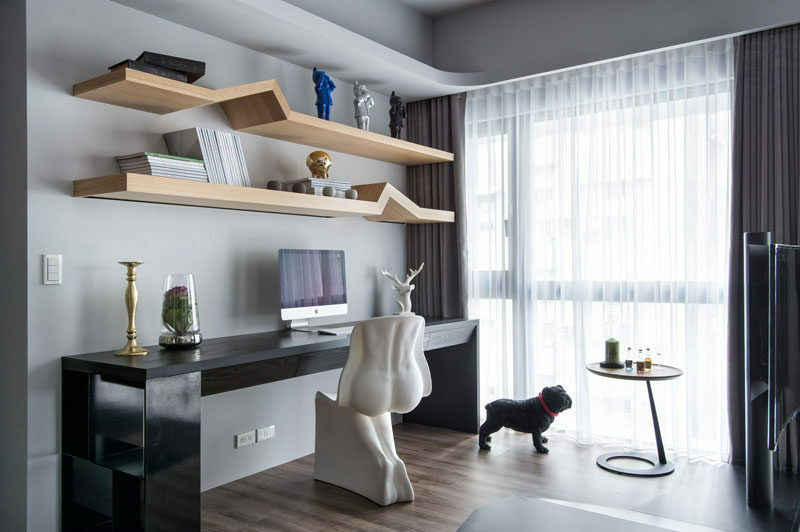 By elevating the desk area from the rest of the room, it signals that it’s a separate space with its own function.